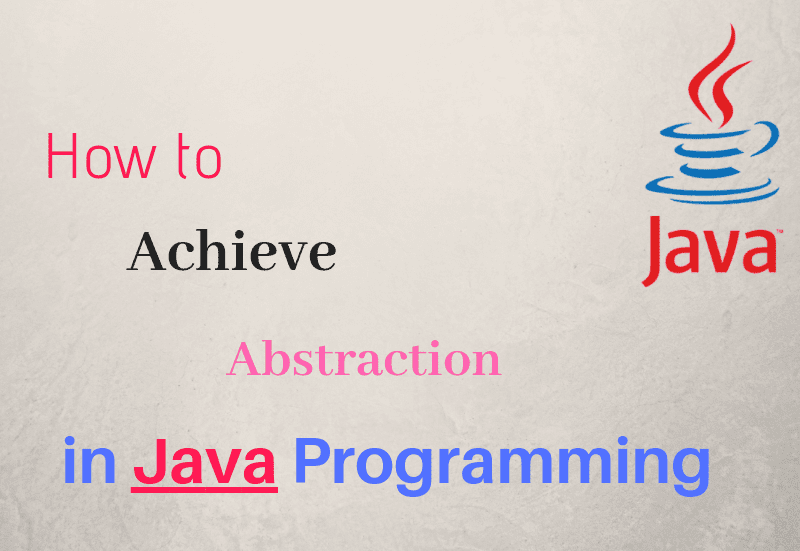 By following the below method you can easily achieve Abstraction in Java. In Java programming, a class defined with the abstract keyword is said to be an abstract class. It can use both abstract and non-abstract methods within the body. If you have just marked your presence in the developing zone, you can join the Java Certification Course which will help you to understand the core basics of Java programming with real-world application development. Before jumping directly to the abstract class of Java, let’s explore the abstraction process first. Let discuss how we to achieve Abstraction in Java language. What is the Abstraction exactly? In abstraction, we only show functionalities to a user by hiding the implementation and other details. Or, you can say displaying only useful information and hiding internal details. Let’s understand this with the help of an example, On your mobile phone, you set alarms without even knowing its internal functionalities like how it works. Abstraction allows you to concentrate on objects work rather than explaining how it does. The interface helps you to achieve 100 percent abstraction. It must be declared by abstract keyword. It comprised of both abstract and non-abstract methods. It can include constructors as well as static methods. It includes final methods which will not allow subclasses to alter the body methods. Let’s understand the concept of an Abstract class and methods with the help of an example. Here I’m defining an abstract class named office with abstract method salary. The implementation of office class is provided by the emp and othworkers classes. For end users- these implementation classes will be hidden. The factory mehtod (it returns the class instance) will provide the implementation class object. In this program, on creating the othworkers class instance, salary() method will be invoked. In the above example the implementation will be unknown for end users and the methods will be called by user. The output of the program will be- salaried workers. Implementation of the interface can also be achieved by the abstract class. All the methods are overridden in such scenarios. Thus, we can see that abstraction can be achieved with the help of abstract classes as well as the interface. With abstraction class, you can create transparency of 0 to 100 percent while interface allows you to achieve 100% abstraction.